We came to Allahabad on May 13th from Lucknow. The distance was just 209 kms but it took us four hours to drive that distance because the road is a state highway at best with just two lanes and unruly traffic coming at you from every direction !! 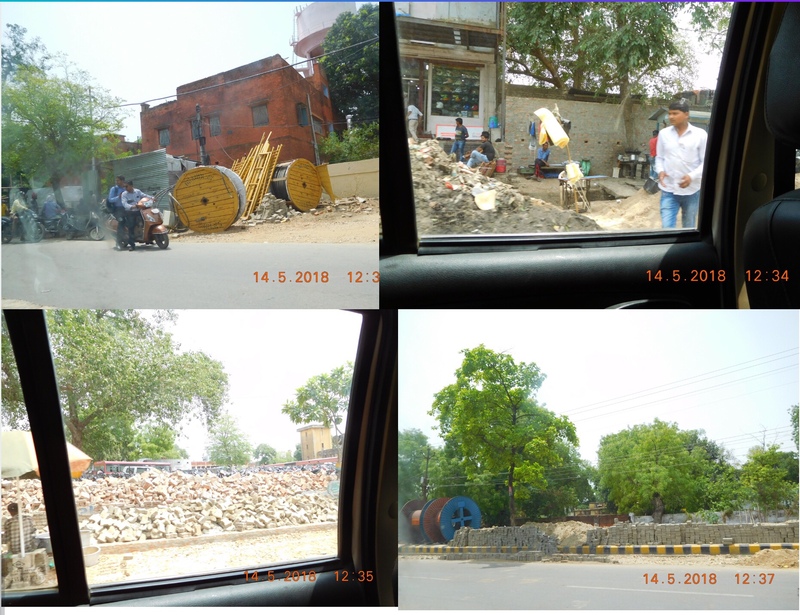 We crossed the Nehru-Gandhi bastion, now Madam Sonia’s constituency on the way – Rae Bareilly. Except for a huge church and a Domino’s pizza outlet, there is little else to show by way of development. 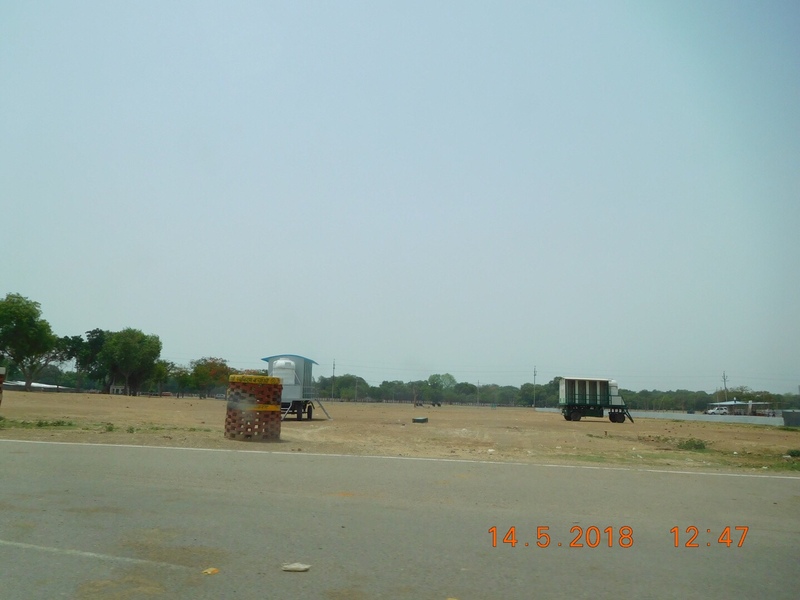 Am sure the “highway” is not the only yardstick of development, but the place is just like any other dusty little town anywhere in India and not the constituency of the “first” family of India. We entered Allahabad and came upon a stunning cathedral but traffic didn’t allow us to even pause to take a pic. I finally took a video the next day as the cab driver drove around it. We stayed at Kanchan Villa and while the place was beautiful and the hosts were wonderful, getting there was a nightmare because Google maps directed us onto a road that is under construction and no one waits for you to reverse and turn back :):). 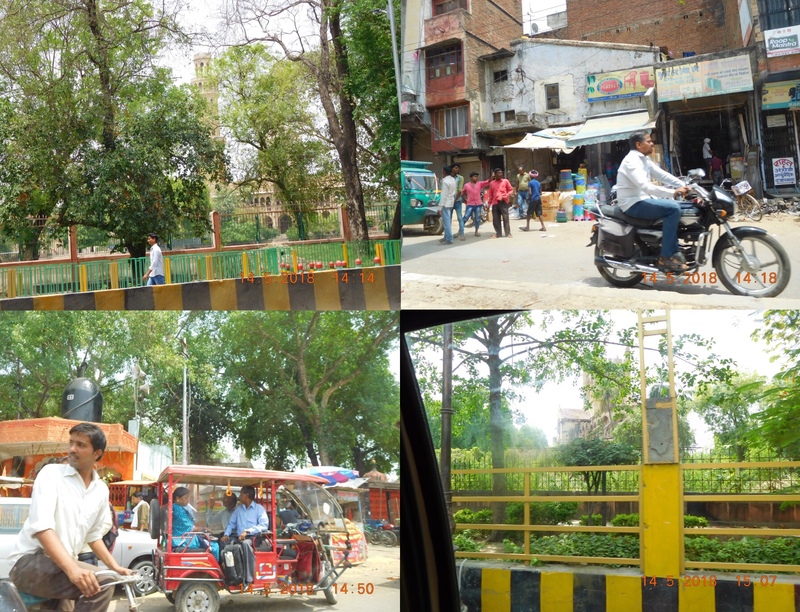 What we didn’t know then was that we were in for a even more harrowing drive as we entered Varanasi on the 15th. As you can see, there are cables, boulders, garbage all piled up everywhere ! Beautiful old buildings crop up everywhere and many of them are still in use… I just wish when they reconstruct, they showcase these stunning old buildings. Our first stop was at the Triveni Sangam. 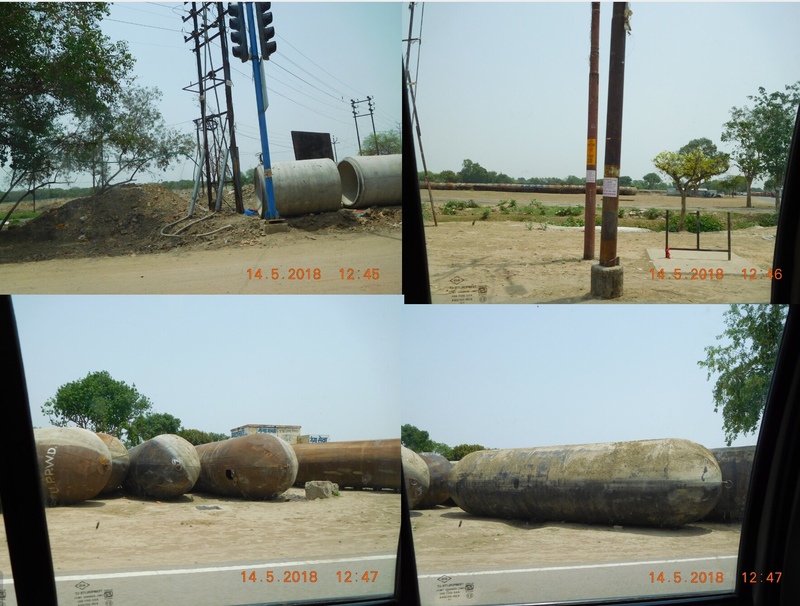 On the way we saw these huge barrel like structures which are apparently used by the army to create temporary bridges during the Kumbh Mela. We also saw these portable toilets being stored. The Triveni Sangam is where the Ganga, Yamuna and Saraswati meet. The taxi takes you near the historic Allahabad fort built by Emperor Akbar in 1583. It is the largest fort built by Emperor Akbar and is stunning. I was not even keen to get out of the car but finally I did. 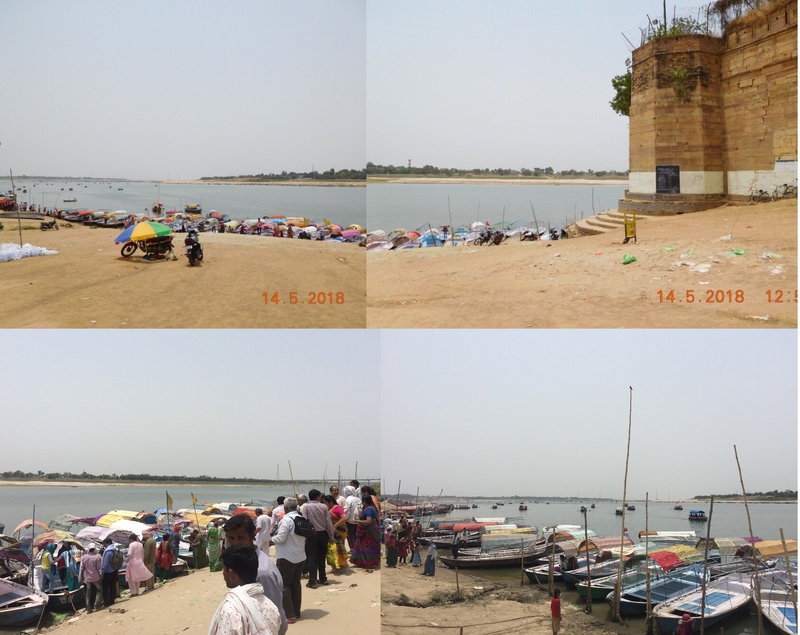 I refused to take the boat ride to the Triveni sangam … will come back when it is cooler. Krishnan walked closer to the boats and the water and clicked a few pictures. 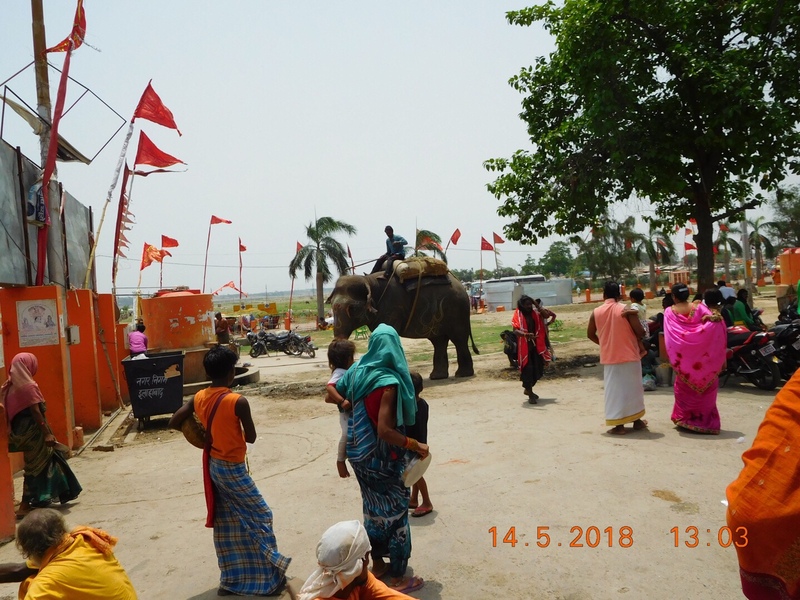 There were people braving the scorching heat and taking the ride to the sangam. From here we went to the Bade Hanuman temple where the massive murti of Hanuman Ji is in a lying down posture. We cannot take pictures of him so we just took a picture of the elephant that was standing outside. 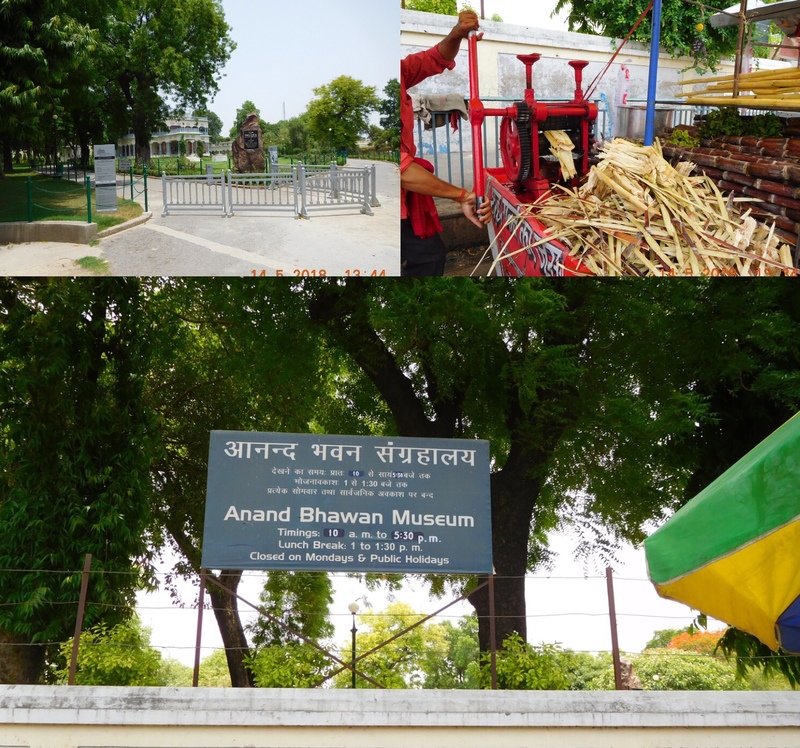 From the Bade Hanuman temple we went to see Anand Bhavan, the ancestral home of Pandit Jawaharlal Nehru which he gifted to the nation as a museum. As luck would have it, it is closed on Mondays so we could just enjoy the sugar cane juice outside the walls and take a picture through the gates. 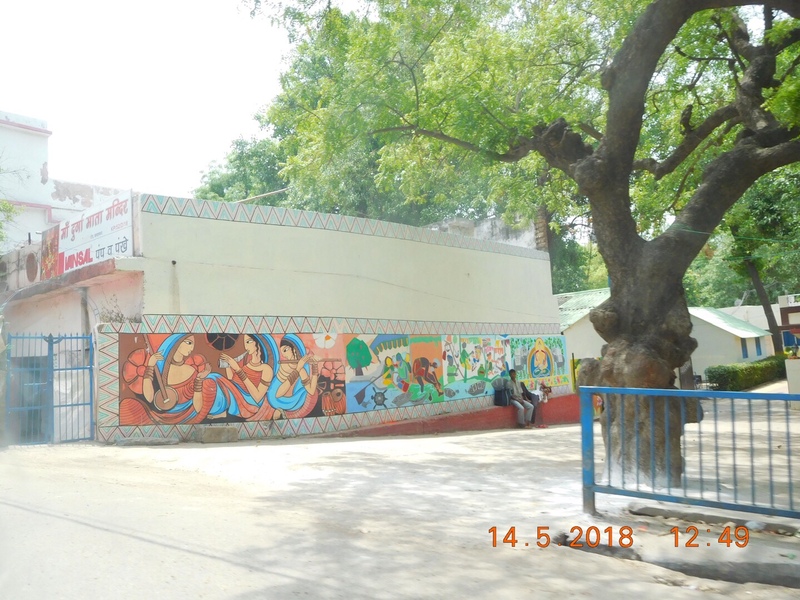 From here, the taxi driver suggested that we visit the Azad Park – this is the place where the great freedom fighter Chandrashekhar Azad shot himself to evade arrest by the British. He along with Bhagat Singh have been my heroes and I was thrilled to visit the park. 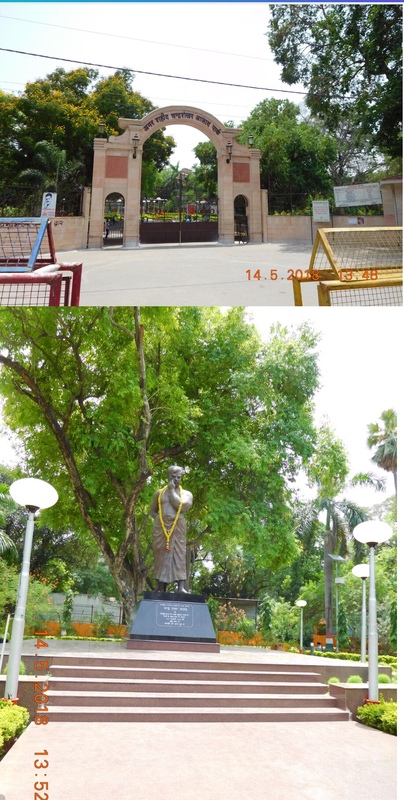 There is a huge statue of Chandrashekhar Azad inside the park under the Jamun tree where he shot himself. Goosebumps. I don’t know if his story is taught in our history books any longer. Many heroes like him have been reduced to a footnote unfortunately. We just sat in the shade for some time in this park and then headed out for lunch at Netram. 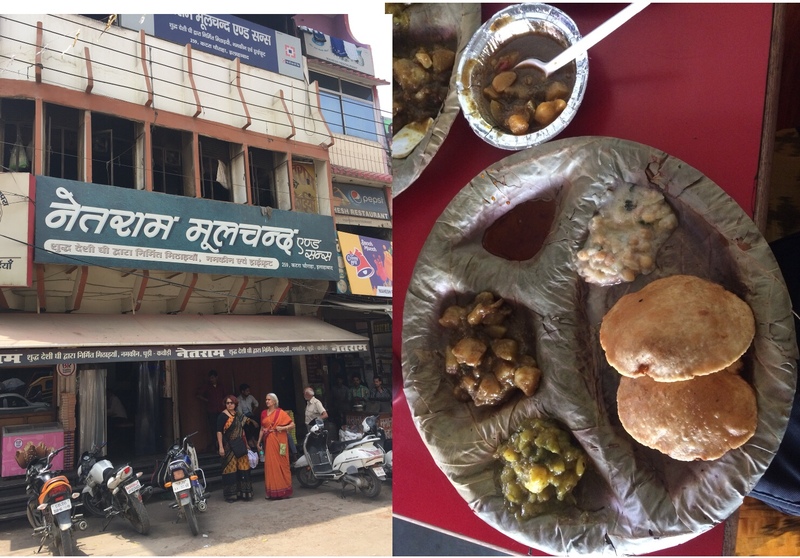 Rajeev Shukla had told us that we shouldn’t leave Allahabad without eating at Netram, and we didn’t want to miss it. We each ate a plate of the puri-sabzi at Netram and it was DELICIOUS. Just getting there and getting out was trying. 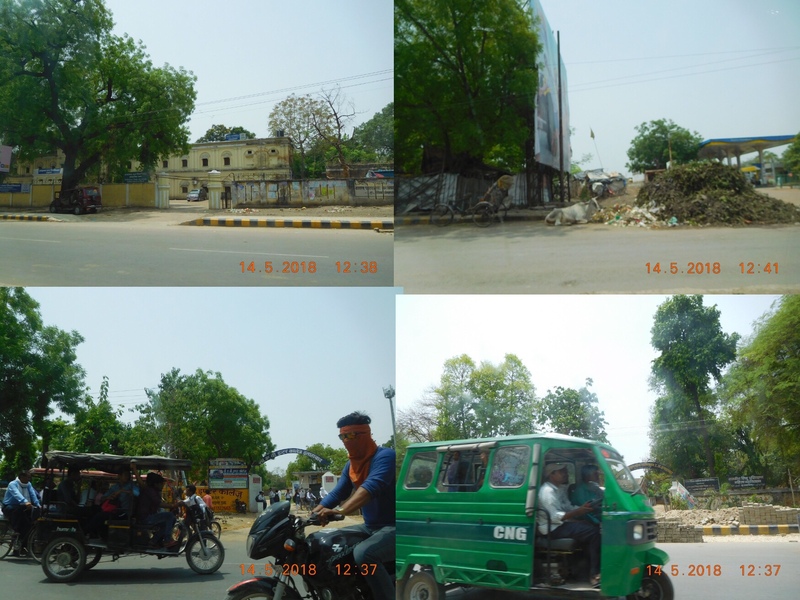 We just drove around Allahabad after that and took some pictures… reached back before 4 and slept a little before meeting with Shashank and his friend from the Hitarth Foundation. Allahabad tips – visit during the cooler months. Please don’t drive within the city even if you are from Delhi or Pune or Hyderabad. We suddenly appreciate these three cities and their driving skills :). Will post the video of the cathedral on this post a little later.